Sparks fly every time these two interact, which made their characters so fun to read as individuals and as a couple. While I can't say I approved of Marek's attempts to steal Kate to be his wife (if you haven't read it, as the goblin king, Marek must find himself a human bride in order to produce an heir), I enjoyed seeing their relationship develop from adversaries to true partners. I loved Marek's ability to rile Kate combined with his fierce admiration for her, and his ghastly appearance made for an interesting dynamic as Kate overcomes her repulsion and learns to appreciate his mind and heart. Unlike most YA books, The Hollow Kingdom continues beyond Kate and Marek's wedding, which added depth to their relationship as they navigate day-to-day life together - though day-to-day life in a goblin kingdom looks a little different from what we're used to :) I would've never guessed a hideous goblin would rank among my favorite romantic leads, but such is the genius of Clare B. Dunkle! Now I want to hear from you! What are your thoughts on my choices? Who are your favorite literary couples? Anne and Gil. Still one of my top fave literary couples. Aww, yes, Anne and Gil are such a beautiful couple! Though I must admit that of L.M. Montgomery's series I actually prefer the Emily of New Moon books - most people vehemently disagree with me, but I stand by my choice :) Thanks for commenting, Deanna! Anne of Green Gables and Gilbert came to my mind right away, too! And, I haven't thought about The Witch of Blackbird Pond for years. . . I'll have to read it again. I haven't read either of your other two choices, but I do think Professor Behr and Jo March are a favorite couple, as well. And Jane Austen always manages to make amazing couples... Thanks for a fun post! 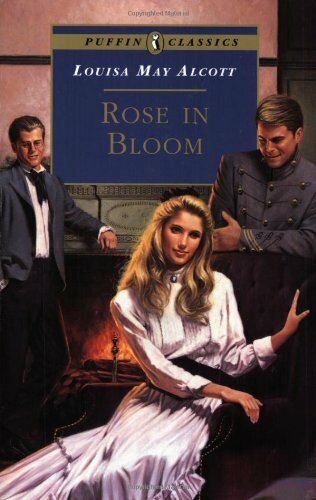 I will be reading Rose in Bloom! I didn't know about that one, and it's nice to know it has a good couple. 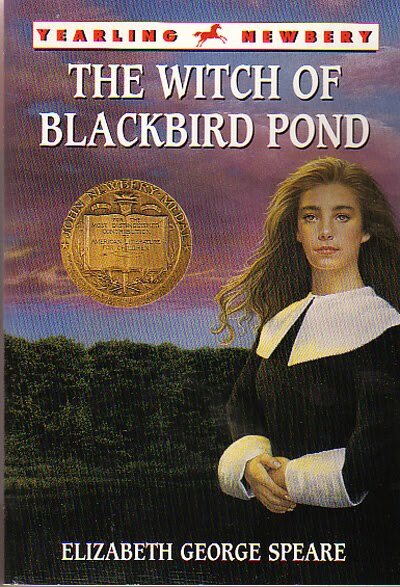 It's been a while since I've read The Witch of Blackbird Pond too, and now I kind of want to reread it. One of my favorite literary couples is one that never happened, but I wish it did: Harry and Hermione (sorry Ron and Ginny!). Witch of Blackbird Pond was a fun book. Although I'm not much for romance, my favorite couple is Jane and Mr. Rochester. I loved how they were so well-matched, yet there were so many obstacles (like Mr. Rochester's huge secret) between them. I love Jane and Mr. Rochester, too! You're right, they're so well-matched both in intellect and temperament. Thanks for your comment, Brenna!